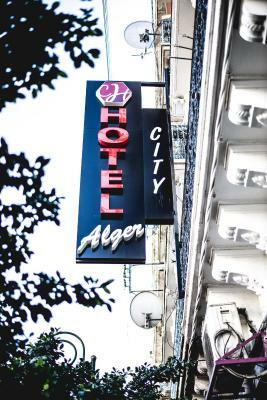 Lock in a great price for City Hotel Alger – rated 8.2 by recent guests! The stuff was cheerful, they were happy to have discussion with me because we Moroccan have a lot of things in common. So, it was a great stay for me. The front desk staff provided excellent customer service throughout my entire stay. They organized a Casbah tour, provided directions, and reserved an early morning taxi to the airport. I was pleasantly surprised at the comfort and spaciousness of my bed and room, which had a nice small balcony and city and bay view. 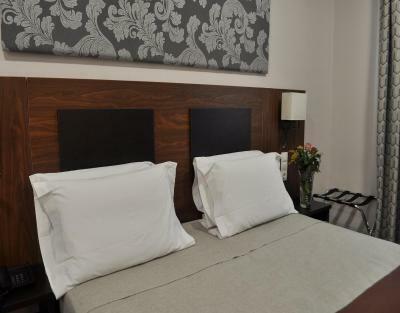 The hotel was within walking distance to many sites, a bus station, and a close taxi ride to the airport. One of the highlights of staying here was the quality and care given by the woman who cleaned my room. She went above and beyond each day by making sure my room was always immaculate. She made my bed, washed the floor and organized my books and clothes! Good location. Plenty of shops within reach. Easy access to the hotel vis the local version of Uber. Good value for money. - Very clean room. Professional cleaning staff. It shows. - The rose aroma (same as what they used in palaces) they put on sheets / rooms is really good. - Excellent location. Within walkable distance to most parts of the city. - Day shift staffs are very friendly. Speaks good English. And the best guys. 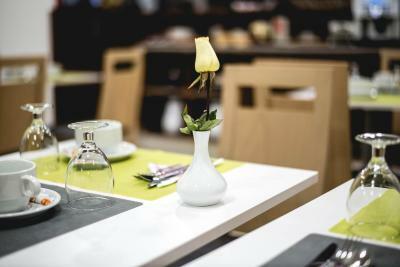 - Restaurant staffs during morning shifts are very, nice kind and friendly. The best. - Easy to get taxis. - Recently renovated. A small, very centrally located hotel. Just walking time to the nearest metro station and Didouche Mourad street. My room was clean and comfortable. The location was great. 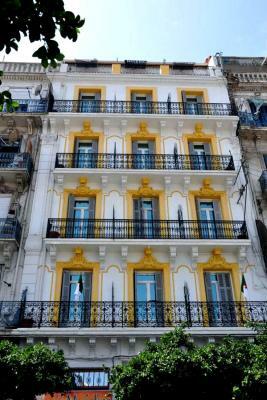 Near many sight-seeing spots and heart of Algiers. The staff at the hotel were very friendly and kind and made me feel most welcomed. 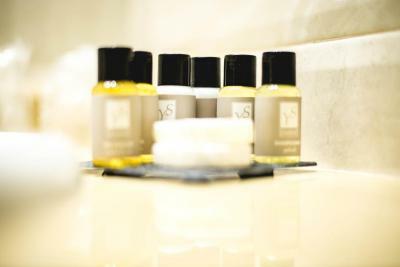 The housekeeping cleaned my room very well too, tidy up my toiletries. 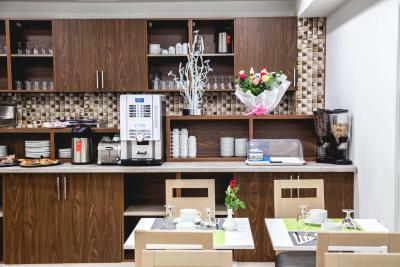 Staff were very helpful and kind, the hotel was very clean and well-located on a main shopping street, close to 1er Mai metro station, room was fairly basic, with good shower/bathroom facilities. 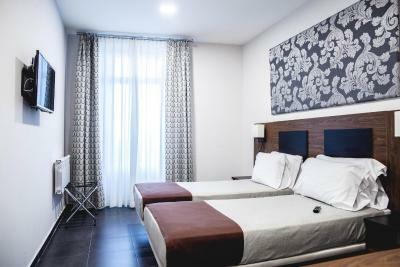 City Hotel Alger This rating is a reflection of how the property compares to the industry standard when it comes to price, facilities and services available. It's based on a self-evaluation by the property. Use this rating to help choose your stay! 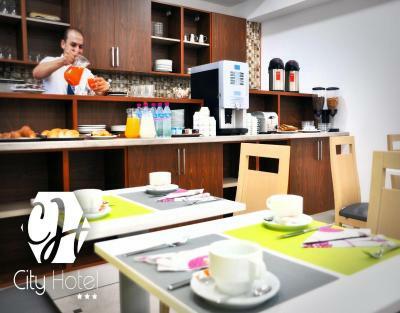 One of our top picks in Alger.City Hotel Alger offers accommodations in Alger. Free private parking is available on site. 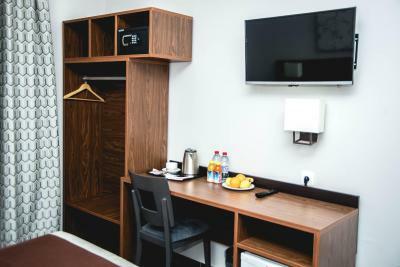 The rooms include a flat-screen TV. Some rooms have views of the sea or city. 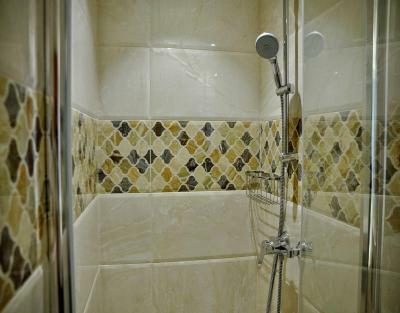 Each room is fitted with a private bathroom equipped with a shower. For your comfort, you will find free toiletries and a hairdryer. 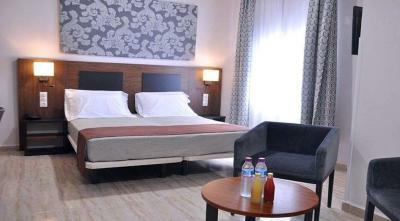 City Hotel Alger features free WiFi . 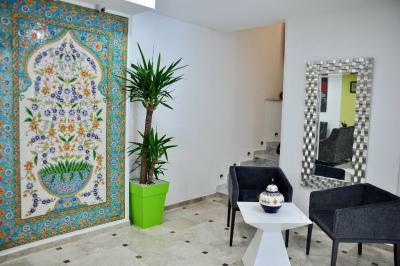 The nearest airport is Houari Boumediene Airport, 9.9 mi from the property. This property is also rated for the best value in Alger! Guests are getting more for their money when compared to other properties in this city. 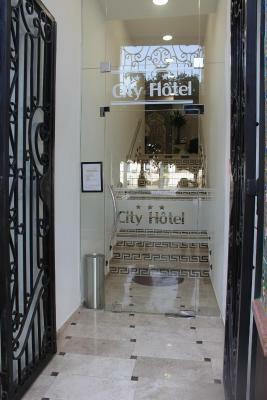 When would you like to stay at City Hotel Alger? 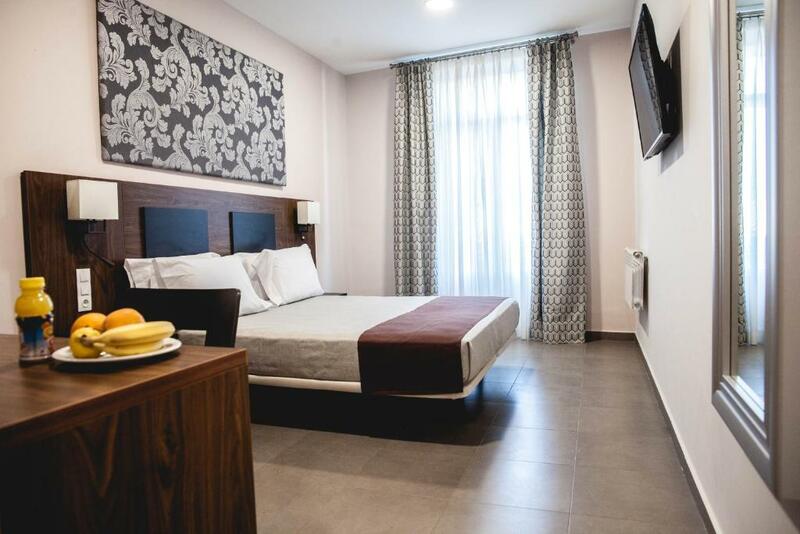 This double room has a balcony, soundproofing and tile/marble floor. 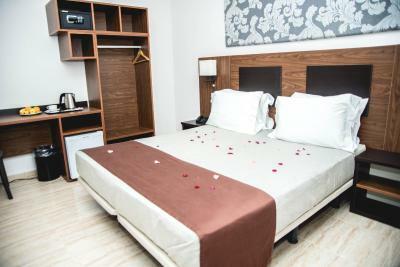 This twin room features a balcony, tile/marble floor and air conditioning. This double room has a balcony, mini-bar and flat-screen TV. 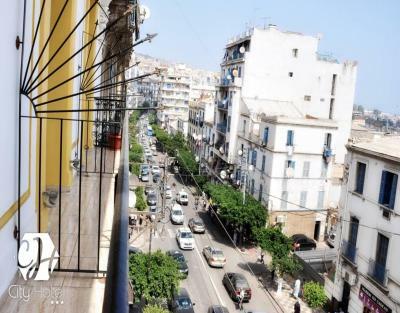 House Rules City Hotel Alger takes special requests – add in the next step! All children under 6 years are charged DZD 1500 per night for extra beds. 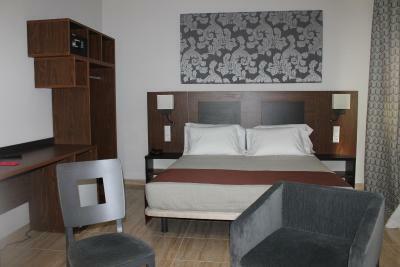 Any additional older children or adults are charged DZD 1500 per night for extra beds. 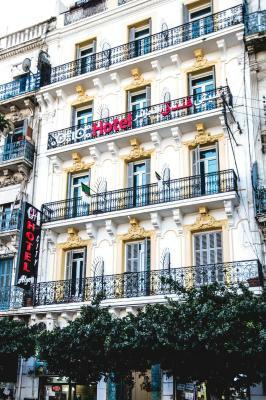 City Hotel Alger accepts these cards and reserves the right to temporarily hold an amount prior to arrival. There should have been more fruit options for breakfast like banana. Glad it wasn't included in my rate. The only drawback I can think of is not taking advantage of the hotel's breakfast my first morning. I thought I could easily find some items for breakfast in the neighborhood but wasn't able to find anything in the area. Shower water pressure is annoying. You have to adjust hot/cold water all the time. Elevator starts from Level 1 so it is not for disabled / older people. Needs some pest control. I had ants everywhere in my room. Adding a kettle in the room would much add value. Very frinedly staff in the reception. Very good location. Nice good room with a balcony. The balcony door could not be closed entirely and the staff was unfortunately not able to fix it. It was not a big problem but the hotel should definitely fix it. 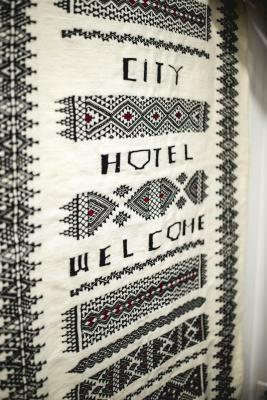 I liked the hotel, friendly and helpful staff. We got a nice room at the top of the building with a balcony and sea view. Breakfast was okay, too. 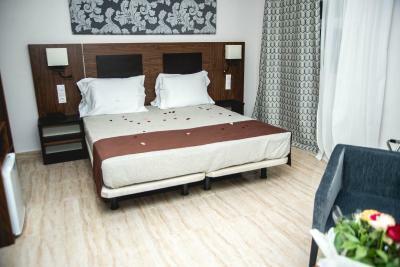 Nice clean and tidy hotel in a great location for exploring Algiers. Above anything there are some of the most friendly and helpful staff I have ever met in a hotel. They really make this place.